Both Norway rats and roof rats have excellent balance (although roof rats have the edge in that department) and frequently run along pipes. A lot of those pipe converge at the water heater, which is one of the reasons we find droppings on them. 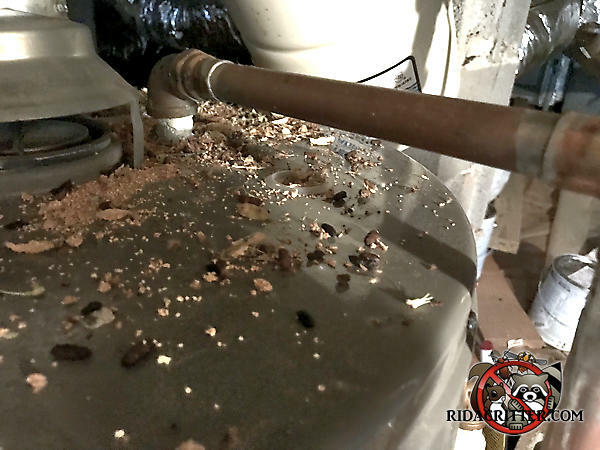 The water heater is sort of a rest stop for rats.